52 varieties, three generations, and 110 years. Levering Orchard is an amazing cherry-picking experience! In each of the past three years, a freeze shortened our cherry crop. Luckily, this year the crop is MUCH better, and – if we’ve missed you the past three years – we hope to see you BACK AGAIN this year!! 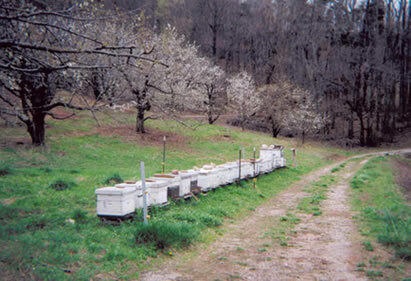 Remember, conditions change day to day on a cherry orchard, so it’s always a good idea to call ahead before you come. Also, sadly, because of new immigration enforcement that is impacting farm workers, we MAY have trouble this year having enough cherries already picked at the moment you arrive. Thank you for your understanding, and patience. We aim to please, and will always do our best. 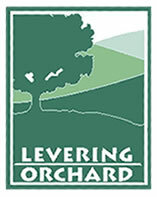 In addition to retail sales at our packhouse, Levering Orchard offers the pick-your-own experience. Listed below are the dates we anticipate as “start dates” for picking and selling our different fruits. These are ESTIMATED start dates — it’s very hard to be sure a long ways ahead of time, because of weather and other factors. Sometimes we have to begin a little sooner than we estimated, at other times, a little later, to let the fruit ripen. Mother Nature can be fickle. So phoning or e-mailing ahead before you come is STRONGLY ADVISED! For daily updates on availability call 276-755-2224! Next, try the Packhouse phone, 276-755-3593, during business hours, to speak to someone. After 5:30, you can also call the Packhouse phone, 276-755-3593, for a daily recorded update. SWEET CHERRY PICKING BEGINS JUNE 1st AT LEVERING ORCHARD! Open Monday thru Saturday, 8:30 a.m. til 5:30 p.m. Pick-your-own orchard closes promptly at 5:30. Open Sundays 10 a.m. til 4:30 p.m.